It's been quite some time since my last post. I'm not going to lie, I don't have any awesome new furniture for my readers. I suppose I've been rather busy here lately. But Ms. A, "What are you busy doing if it's not working on furniture?" you ask. I got hitched!! Therefore, please forgive the tardiness with my posting. 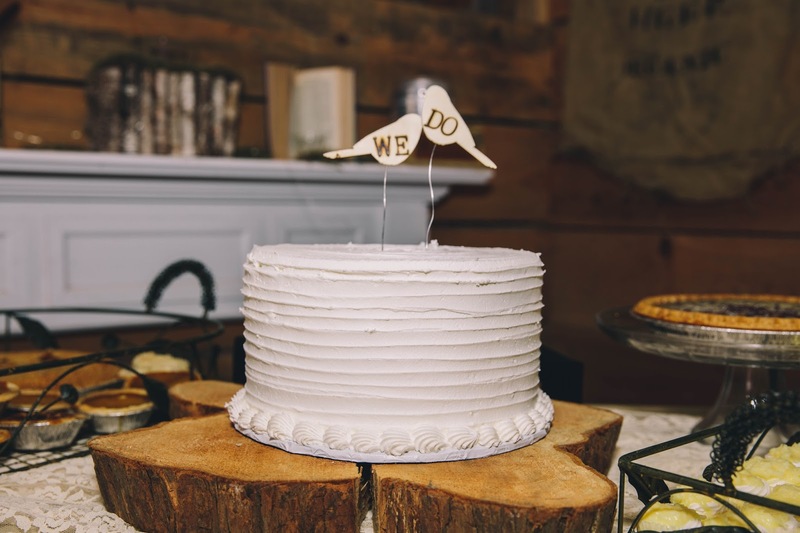 Courting, engagement, wedding planning, honeymooning and being a newlywed has taken up much of my time. 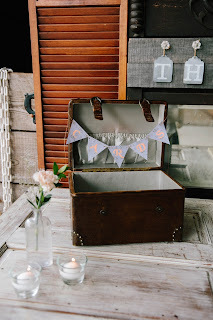 Knowing me, I did manage to squeeze a few DIY items into my wedding. Surprisingly though, I didn't do a total DIY wedding. While I think that would have been a lot of fun, I also think it would have been a LOT of stress. 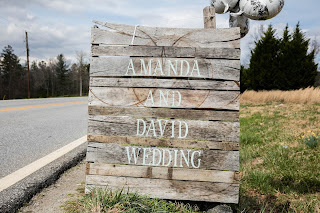 Instead, we chose to get married at a full service venue where all I had to do was show up! 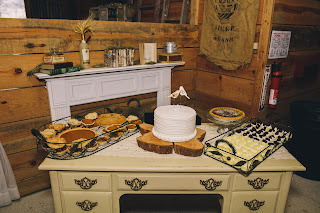 I was able to convince the venue to let me throw in a few DIY touches to make the day truly ours. We chose to forego the traditional wedding cake and opted to have a pie and cheesecake bar instead. (If any bride is leaning this way I highly recommend it. Ours was a huge hit with our guests!!) 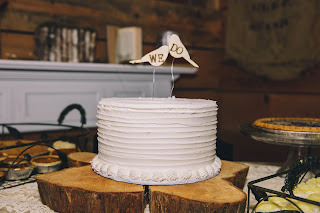 However, we did still have a small wedding cake that we could shove in each other's faces. I mean - serve each other lovingly. I made the topper for our small cake. I purchased two small wooden birds from Hobby Lobby and had the future husband drill a hole in the bottom of each. I used a wood burner and an alphabet set to burn the word "WE" on one bird and "DO" on the other bird. Then I stuck a piece of wire in the hole so we could stick them in the cake. I think they turned out adorable even if I couldn't get the wire completely straight!! 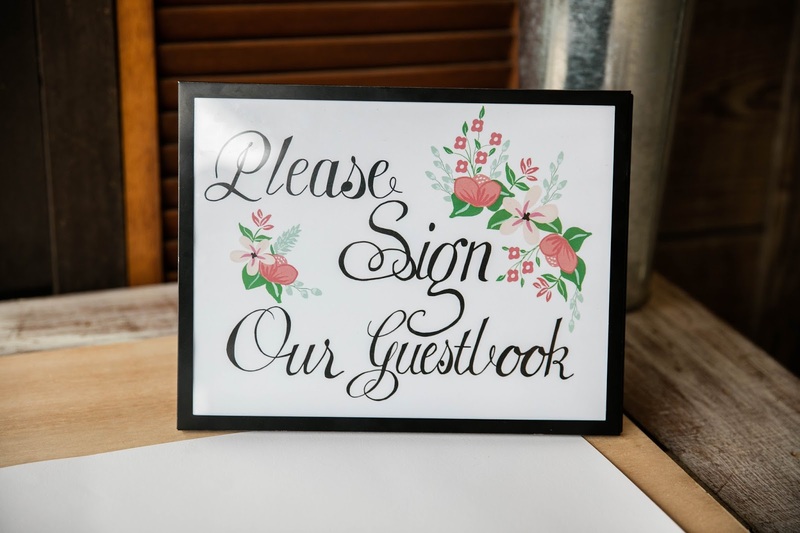 We didn't register anywhere but since we had several of our guests ask us about gifts we advised those people that a gift wasn't expected but if they wanted to give us something we would prefer a gift card to Home Depot (lots of upcoming house projects!). I then made a gift card receptacle for guests to place the cards in. My parents found a vintage look luggage train case at an antique store and I strung a "cards" banner across the opening. 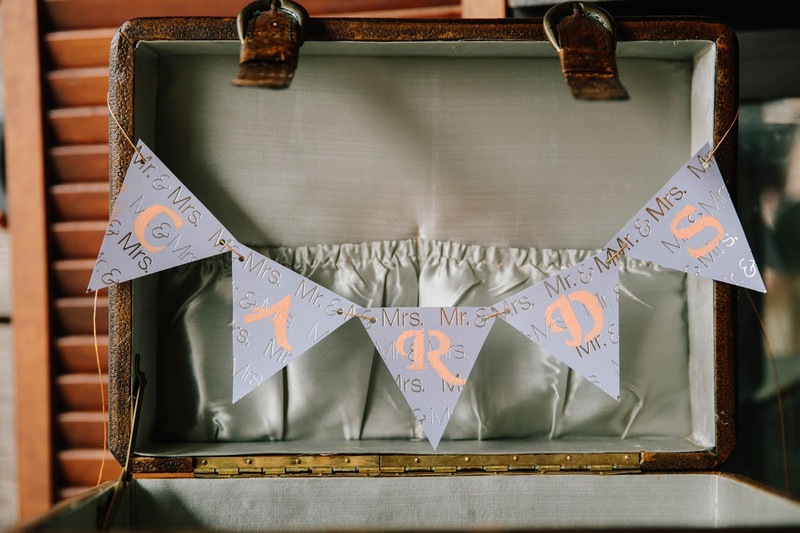 To make the banner, I found a pendant template online and I used the template to cut out the pendants from some Mr. & Mrs. scrapbook paper that I found at Hobby Lobby. I then stenciled the letters on to the pendants, used a small hole punch to put holes in the corners and used a thin piece of twine to string them all together. Here's the final result. 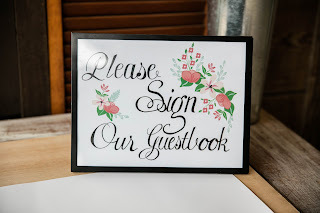 For our guest book I was lucky enough to find a cute sign online that just happened to have our colors of mint and peach. I printed it out on the color printer and stuck it in a frame from the dollar store. Perfect and took less than 10 minutes start to finish! 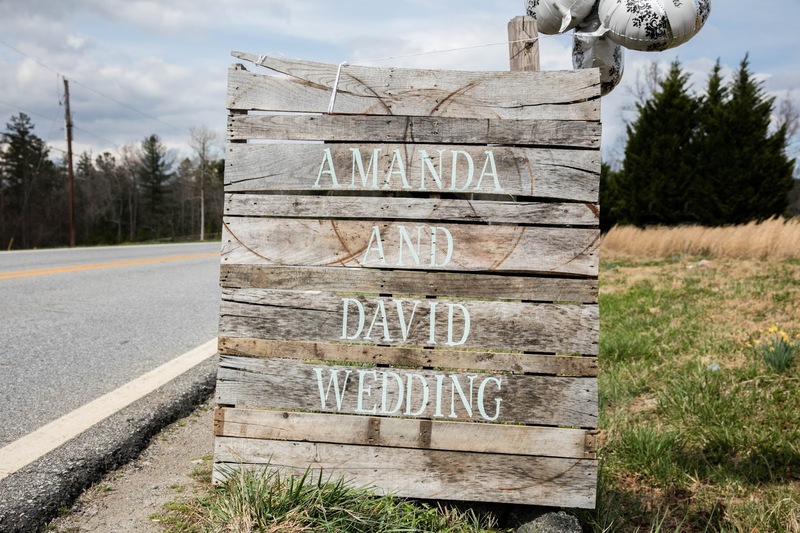 Lastly, since our wedding was held in a barn in the country, we also made a pallet sign to stick by the side of the road so our guests wouldn't miss the driveway. The future husband grabbed a pallet from his work. Yes, it had been used but that just added to the appeal! I found some very large stencils at Michael's and bought a small bottle of mint colored acrylic paint. I stenciled on the letters and voila! 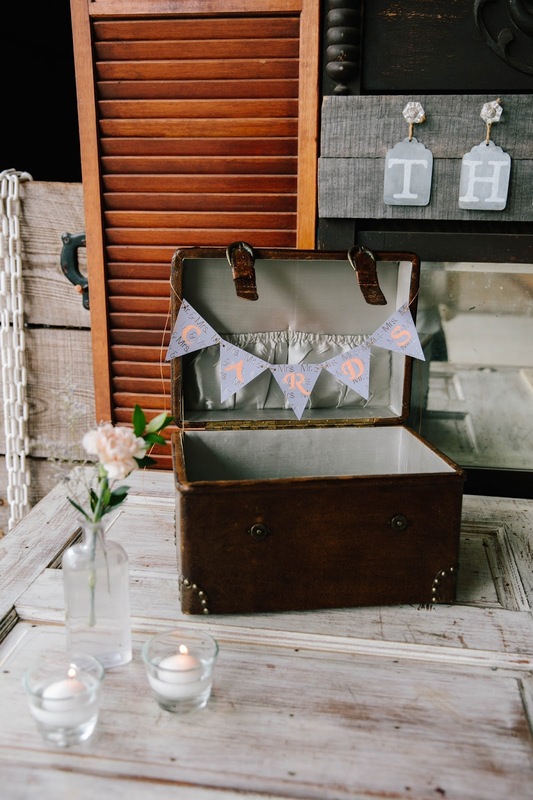 Our wedding day was wonderful thanks to our venue and these small personal touches just made it all the more special!